Ideal as a simple soft start control device which also provides motor protection, the CSXi allows you greater control over the starting and stopping of three phase motors. 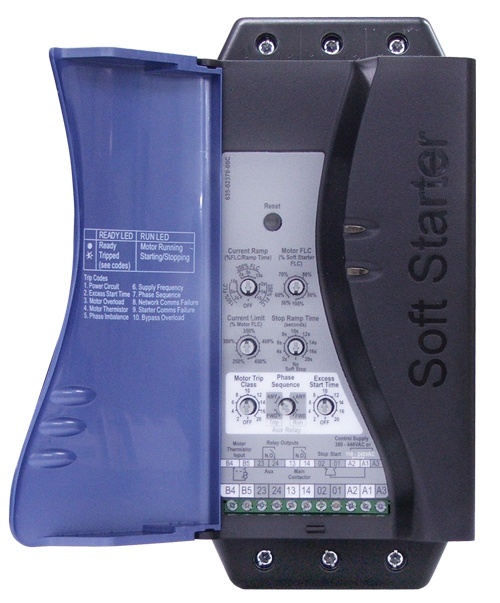 The CSXi soft starter is a compact unit suitable for mounting in a motor control center without the need for an external bypass contactor. At only 165mm (6.5 inches) deep it is easy to mount in shallow enclosures. For motors up to 60 A the soft starter can be mounted on a DIN-rail, or the CSXi may be mounted horizontally to use less space. 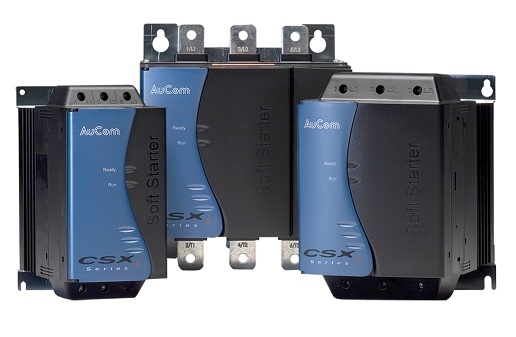 With features such as dedicated output relays to control the upstream main contactor and power factor correction capacitors (if used), CSXi soft starters are easy to integrate into complete motor control solutions. The CSXi has built in thermal model motor overload protection. The motor current is continuously monitored and the expected temperature is calculated based on this monitored current. The user sets the motor trip class, and the CSXi will trip when the calculated motor temperature reaches 105%. An external motor protection device is not required when using a CSXi soft starter. We have made energy savings simple. 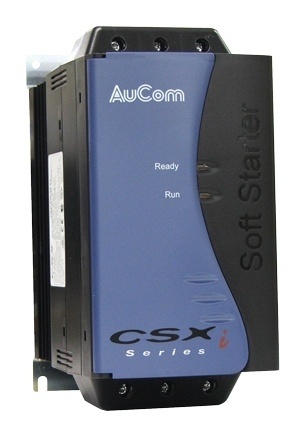 The CSXi soft starters are equipped with an internal bypass function to reduce operating costs. CSXi starters are 99.5% efficient during run, produce no harmonics and are the most energy efficient solution for fixed speed applications with variable load.